The 43rd Annual Christmas Parade has lots of lights, music & entertainment including a visit by Santa! 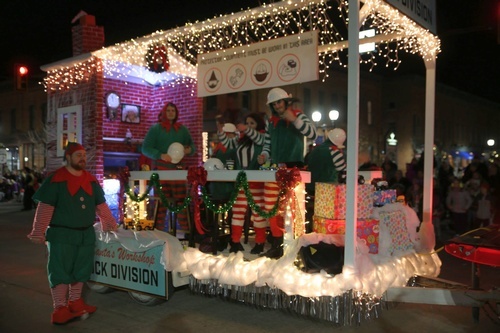 People from all over the area line the streets of downtown Saline for this holiday favorite. With more than 100 parade participants from animals, dancers & musicians, and even a hot air ballon, there is something there for you to enjoy.